This is a photo of the inside of the hazard / blinker relay assembly in my 2005 Jeep Liberty. I'm pretty sure that silver rectangular shaped piece of metal controls the the blinkers going into hyper blink mode if a bulb burns out, or in my situation, if you add LED blinker lights. 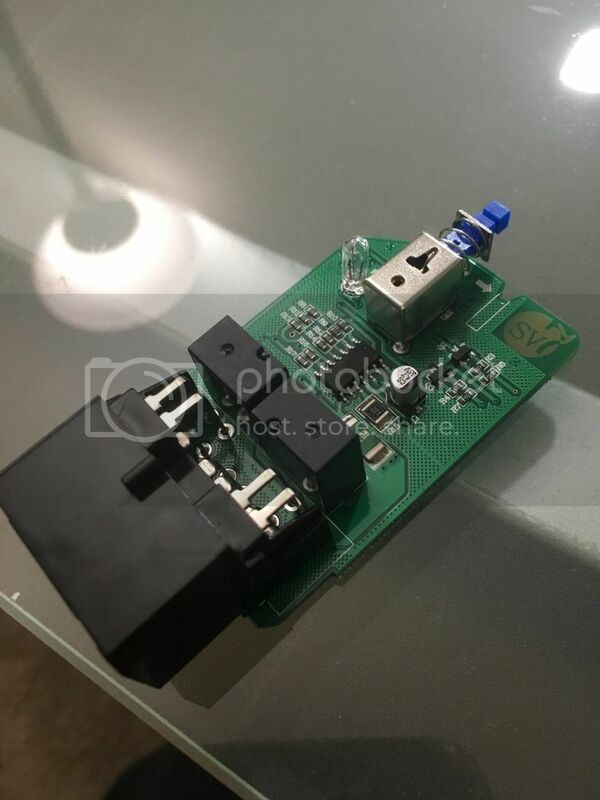 I want to avoid having to add resistors at every LED light and think perhaps replacing this metal piece with the right resistor or diode may keep the blinkers in normal blink time even with LED blinker lights. 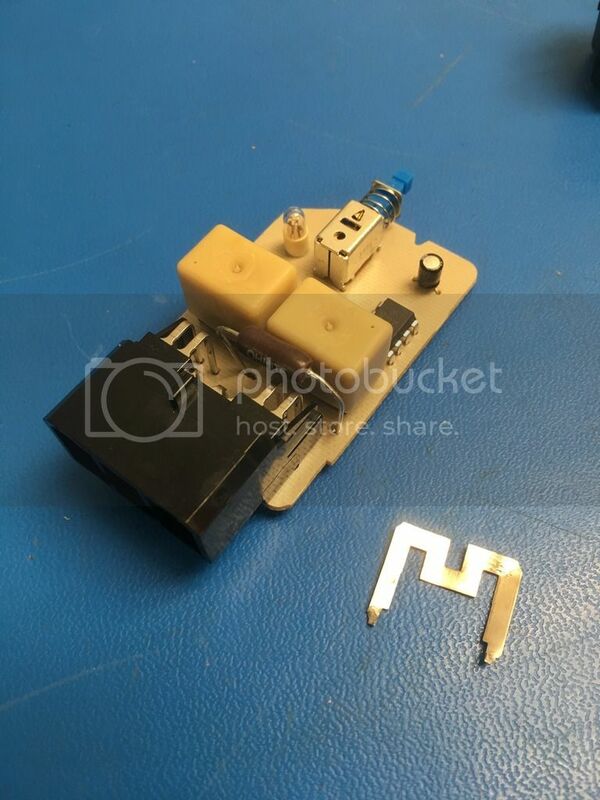 I am also hoping that one of you knows enough about this to tell me if this is possible, and what resistor or diode can replace this metal piece and get the job done. Thanks. I replaced my signals with LEDs and they do that really fast hyper blink. Watching this thread to see what you come up with. I had to replace them when I took the stock bumper off and put the stubby on there. Just to be clear, the component I am referring to is the M shaped flat metal between the large black plug receptacle and the whitish cubes. 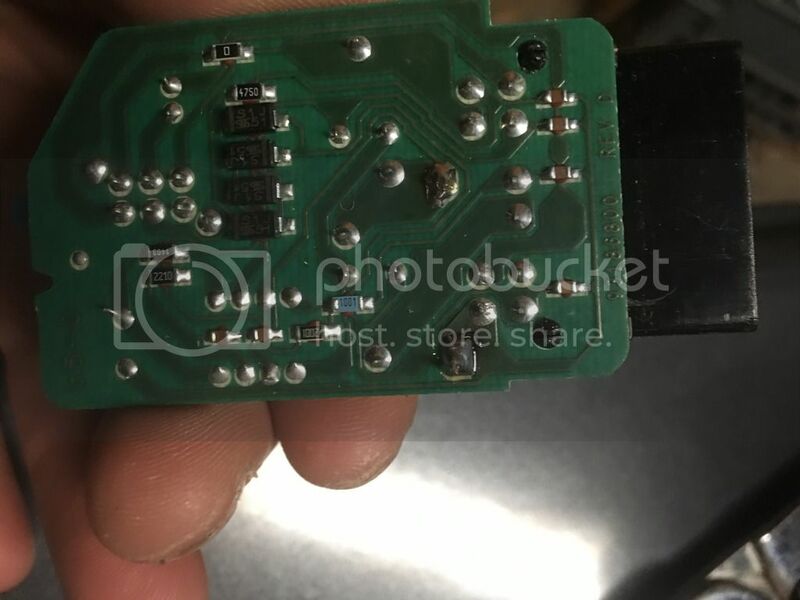 On another forum for a different vehicle a guy replaced a similar component with a 0.1 ohm 3 watt resistor. Someone else simply whittled down the component until the blinkers slowed down. I ordered the resistor and will report result. I tried grinding down the component but ended up destroying it. My bad. You do know you can now buy blinker relays designed for LED bulbs? Yes, I saw a website for that. However, since the blinker relay is built into the hazard switch, how could one of these relays be put into the system? Now, if someone made a direct replacement switch AND built for LED's, that would be sweet. My 0.1 ohm 3 watt resistor finally arrived from BD Micro. I removed the "M" metal component and replaced it with the resistor. Hyperflash is gone and I have a normal blink rate. Yahoo! Got mine changed out. thanks for your research I was not happy about the idea of having to put resistors on everyone of my turn signals. I have replaced all of my lights with LED except for the headlights. it started with the new ARB bumper, it came with LEDs with no resistors so I had the fast blinking right after that bumper was installed and no way to though with incandescent lightbulbs. Here are some pictures of the work I did. Replaced the light bulb inside the relay unit as well, it is a solder on lightbulb. I'm glad I stumbled across this the other day, nothing like heading problems off at the pass. I got LED turn signals/daytime runners coming. Just finished doing this mod a few minutes ago and it works great, but for anyone else thinking of doing this I would suggest using a 0.5Ω (at a minimum), 3-watt resistor instead of the 0.1Ω, 3-watt item that was originally recommended. 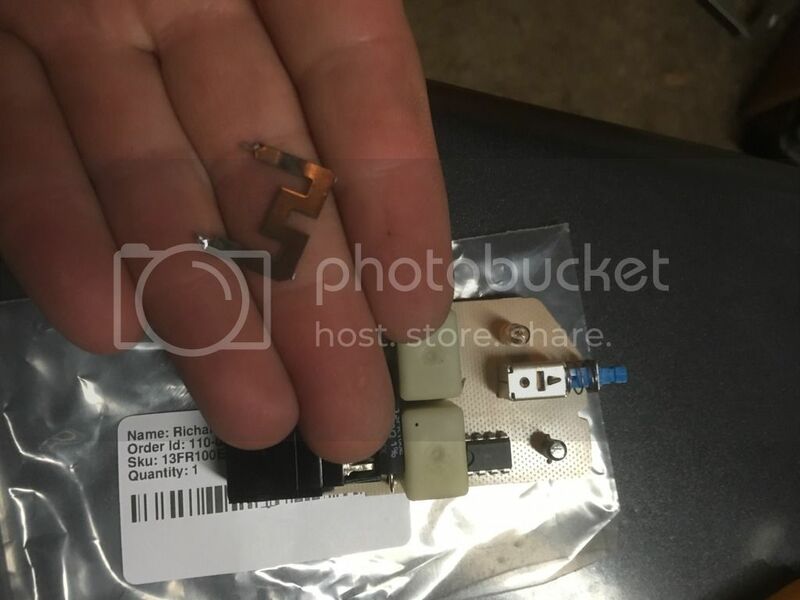 Here's what I ran across: a couple of weekends ago, I replaced the shunt (the M-shaped piece of metal) with a 0.1Ω, 3-watt resistor per the instructions above. There was no hyperflash after doing this - provided that the indicators on each side of the KJ still contained at least one incandescent bulb. In other words, if, say, both front indicators were LEDs and both rears were incandescents, there would be no hyperflash. However, if you were to replace one of the rears with an LED at that point, you would get hyperflash on that side. This made me suspect that the 0.1Ω resistor was probably not providing quite enough resistance to curtail hyperflash. Since the shunt had been desoldered and was still intact, I decided to test this theory by measuring its resistance out-of-circuit. Courtesy of my high-precision el-cheapo Radio Shack multimeter, I was able to get a resistance reading from the shunt that wavered between 0.2Ω and 0.3Ω. This led me to believe that the flasher unit was realistically expecting a resistance somewhere closer to 0.3Ω to prevent hyperflash. Figuring that using a 0.3Ω resistor could be a bit too borderline for what was going to be needed (and not wanting to have to potentially replace the resistor a second time), I ordered 0.5Ω and 1Ω resistors. Replaced the 0.1Ω with the 0.5Ω and everything is fine and dandy. 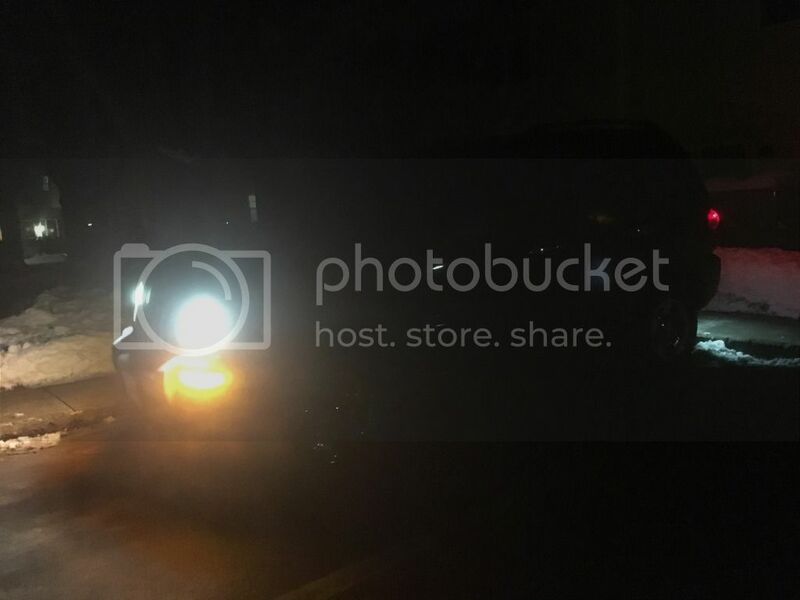 No hyperflash, and the hazard lights work as intended. Additionally, I let the hazards blink for a solid 30 minutes and didn't detect any excessive heat coming from the resistor. As for why the 0.1Ω resistor has worked fine for other folks... Dunno. Could be down to differences in individual vehicles' wiring, the LED bulbs that were used, resistor tolerances, or any number of other factors. However, given what was learned about the resistance of the shunt, I wouldn't really recommend using a resistor below 0.3Ω, and 0.5Ω seems to be working fine in at least this instance. Could be because most people didn’t replace all 4 turn signals. I only did this mod because I have the LED turns that came with my ARB bumper but still use the incandescent lights in the rear. I noticed that the metallic piece that was removed and replaced with the 0.5 ohm resistor from a user in this thread is missing from the part. 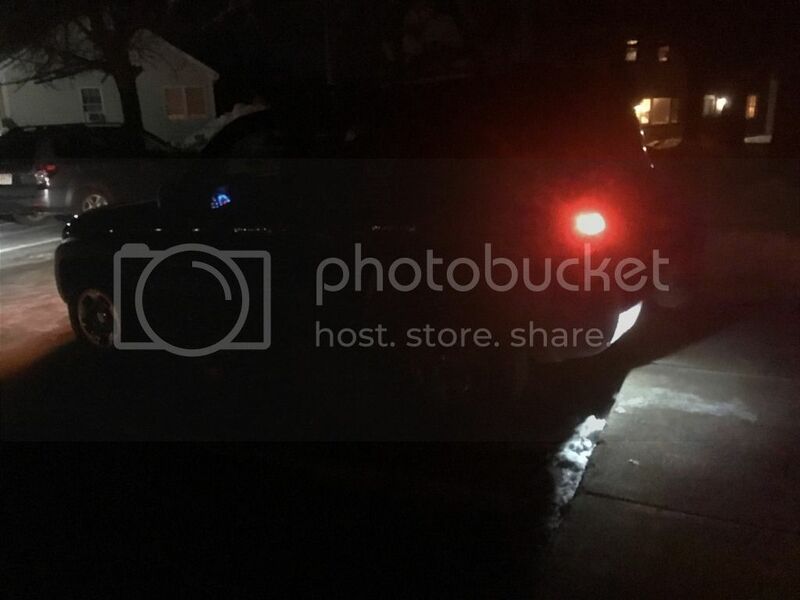 It appears that switch might have been upgraded to reflect LED lights. I won't know until I test it. Gentlemen, I swapped out the OEM hazard switch on on '04 KJ Liberty for the aftermarket and no change; I still got the hyper flash on all of the LED lights. I re-installed the incandescent blinker bulbs on the front side markers and the rear blinkers. I bought the 0.5 Ohm resistor and once it arrives I will solder it into the OEM hazard switch. Hopefully this will fix the issue. Hi - I purchased the HZS149 referenced below, and it did not fix the hyper flash problem. I guess I will try the 0.5 resistor fix - can anyone tell me how to get the relay housing open? - Thanks. You shouldn't need to swap out the original unit for an aftermarket one - as far as I'm aware, there is no electronic aftermarket replacement. If this has changed, I'd love to know about it, but, otherwise, modification of the original is the only option I'm aware of. My suggestion would be to return the one that you bought for a refund and modify the original unit that was in your KJ. I'm not familiar with the aftermarket ones, so can't advise as to differences, etc. Interesting that there was no visible shunt / resistor. Would you be willing to open up the replacement and take some photos? I'm curious as to what the differences are. Last edited by casm on Fri Feb 08, 2019 11:17 am, edited 2 times in total. It's kinda fiddly, but not too awful. You'll need a couple of smallish flathead screwdrivers to help with this. Remove the hazard light button. On the top of the switch, attached to the hazard light button, there's a plastic tab that fits over a lug on the front of the switch housing. Lift up the tab and pull the button away from the switch housing; it should come right off. Remove the brass retaining clip from the rear switch housing. 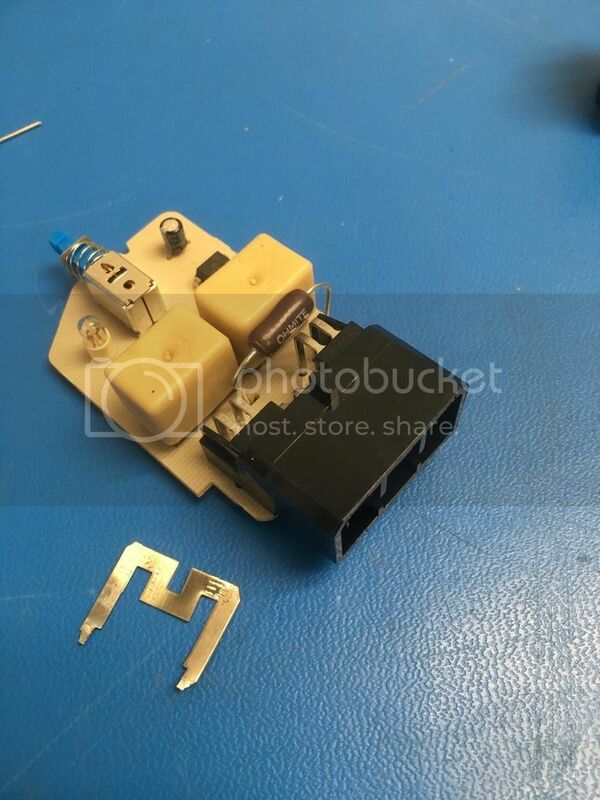 At the end of the switch with the electrical connector, there's a brass retaining clip that fits over the electrical connector. This is held to the switch housing with two brass tabs. Prise the tabs up and away from the lugs with the flathead screwdrivers while carefully pushing them away from the electrical connector. Don't be surprised if there's a fair amount of friction between the brass retaining clip and the electrical connector; just keep working at it and you'll eventually get it. Just be careful to not bend the brass retaining clip in the process. Remove the rear switch housing. This one is fun in the Chinese proverb sense of the term. The rear part of the switch housing is held to the front by four tabs; the electrical connector protrudes from it, but is not part of it. Again using your flathead screwdrivers, push down on the tabs while working the rear housing away from the front. Eventually, all four will be pushed down enough that you can withdraw the rear housing. 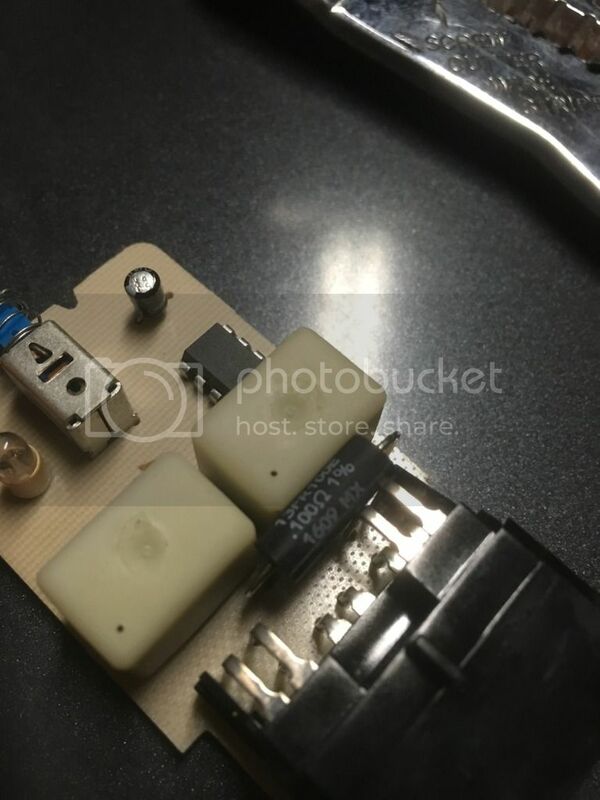 You're probably going to experience another decent amount of friction from the electrical connector, but it will eventually come off. 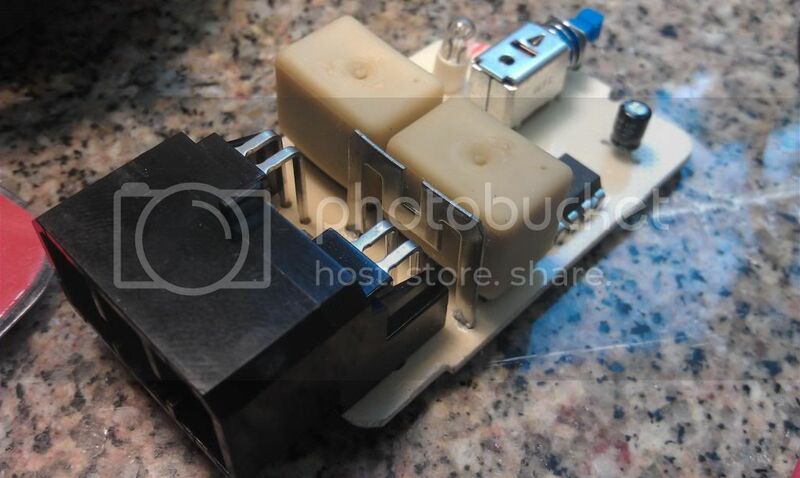 Withdraw the hazard switch PCB from the front switch housing. Pull the PCB straight out by the electrical connector; it should slide out easily. In the infamous words of the Haynes manual, reassembly is the reverse of removal. Just be sure that when you slide the PCB back into the front switch housing that it's sitting in the guides intended to keep it in the correct location - if it's rattling around and the small, square switch on the front of it isn't poking out of the front of the switch housing, take the PCB out and try again. Update - I installed the recommended 0.5 ohm 3W resistor on the Jeep original flasher and within 30 seconds the flasher unit was smoking. It would be nice if Chrysler would offer an LED compatible flasher. When I installed this aftermarket part into truck the flash rate was much higher however as soon as I tested it with all the exterior (and cabin courtesy) LED lights the rapid flash problem still persisted. Initially, I replaced the headlights, interior to LED. 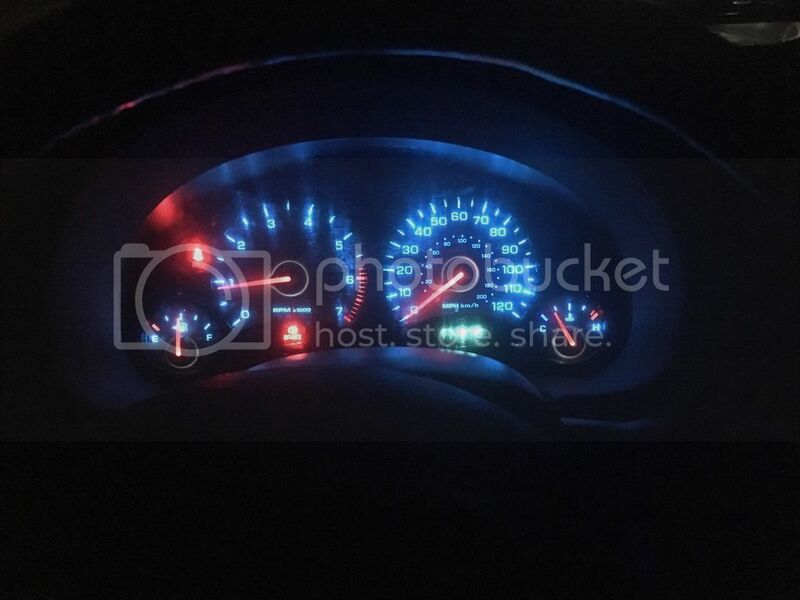 Right away I noticed that when I turned on the engine and began driving, the interior LED lights dimmed but did not completely power off while the vehicle is running. 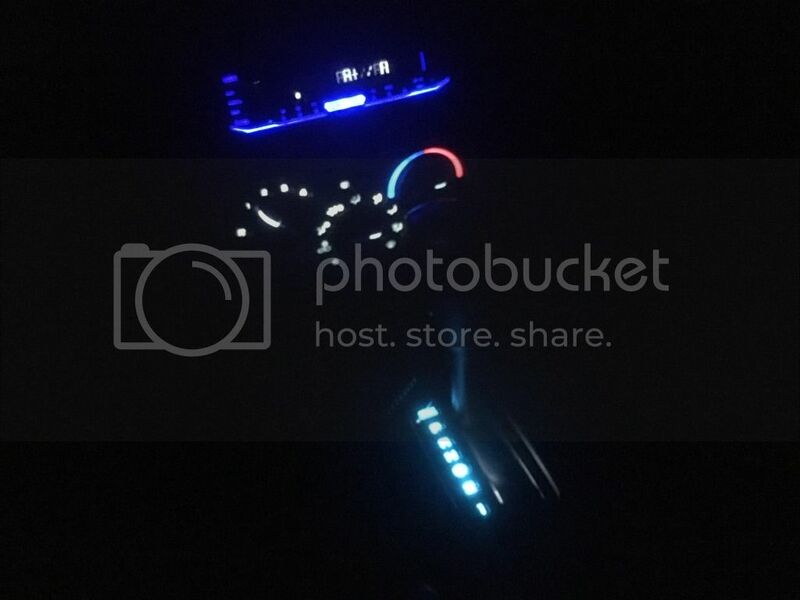 As soon as I shut off the engine and exit the Jeep the interior lights would dim slowly and then turn off. These 3157 LEDs when lit continuously (headlights on) cause both directional indicator lights in the instrument cluster to remain steadily lit dim even when the flasher is turned on. These LEDs have built-in load resistors which stopped the problem resuming back to normal. Either way this is a learning experience. I decided to go ahead and replace ALL of the remaining old bulbs in my truck for LED which are the instrument cluster, climate control panel and transmission shifter lights. It's been trial and error as what is believed to work and what actually does. These bulbs Amazon and the manufacturer state will fit the instrument cluster which is incorrect. Those lights fit the climate control panel. The other thing I have to warn all of you that the instrument cluster lights type B8.4D are quite fragile. The metal contacts can break quite easily. I bought 20 just to be on the safe side and I ended up breaking 6 of them. They are also non-canbus meaning they will work only one polarity. When installing the LEDs, I had to bend down the top metal contacts leaving a small gap between them and the lower contacts at the LED's base so they were able to make connection with the electrical surface of the instrument panel's electronic board and were a snug fit. Use a small flathead screwdriver and a set of thin pliers to gently set in and turn until they are snug fit coming to a complete stop. Don't force. Connect and test the cluster each time as you may have to remove each LED and turn 180 degrees for the correct polarity to light up. The lights for the climate control panel are T4/T4.2 Neo Wedge. These are easier however you have to push in as you turn when installing. Again, test and verify they work. I finally finished replacing all of the incandescents for LEDs in my '04 Liberty. This was a challenging but not a difficult project. One thing I do agree with Mr. Waddy is that it is necessary to modify the hazard switch with a resistor as these lights pull so little amount of energy that they will throw off the vehicle's PCM electrical system. As you can see they are way brighter. I love it. Mine's been in place and working fine for a few months at this point. 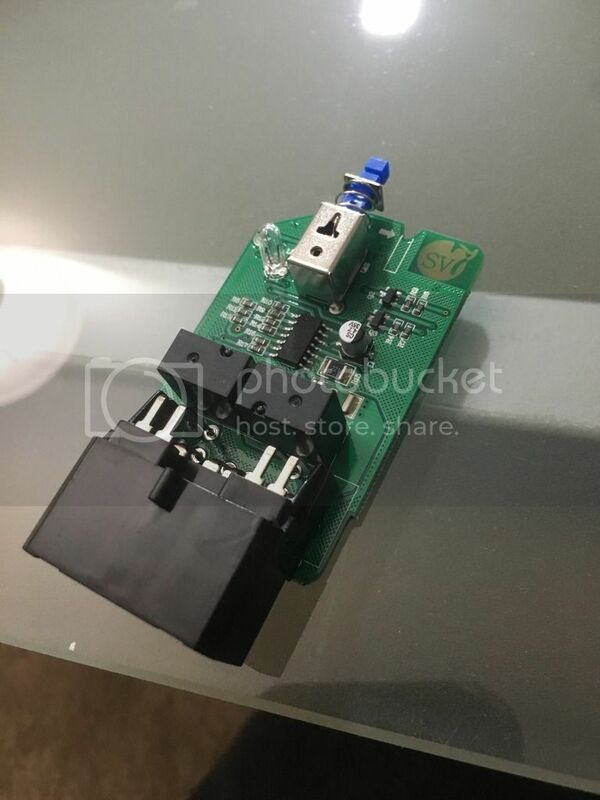 Is it possible that there may be a solder bridge from the resistor's mounting points on the PCB to another trace or pad, or could it be getting pushed back against the legs attaching the electrical connector to the PCB when it's inserted back into the casing? I'm really at a loss on this one for any other possible explanations as several people here have done this modification and not run into this issue.